In the fictional town of Engelsfors, The Chosen Ones are trying to stop the apocalypse – and to get through their teenage years. 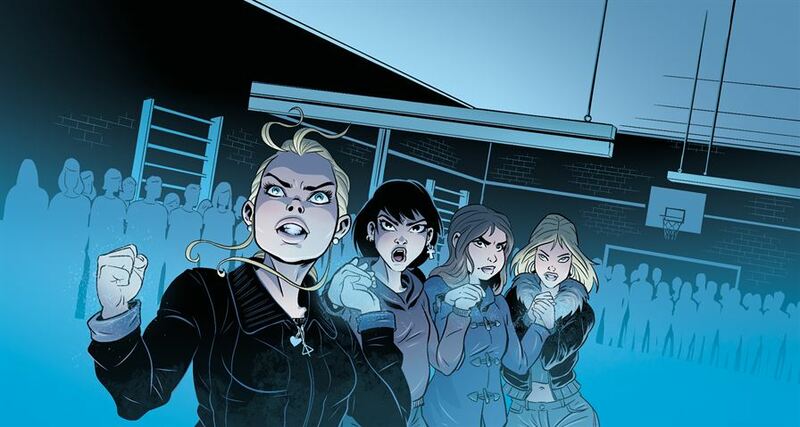 In Tales from Engelsfors the writing duo Sara B. Elfgren and Mats Strandberg team up with three of Sweden’s best comic book artists; Kim W. Andersson, Karl Johnson and Lina Neidestam. Secrets from the past are revealed and clues are given as to what is to come. The book’s guide is the elusive Mona Månstråle. The album is an absolute must for all Engelsfors fans.